Traffic was horrific leaving Auckland on Friday afternoon. Once we got out of the city it was smooth sailing. The Hilton Taupo has nice facilities. The hot tub was popular, but we had it to ourselves for a few moments. On Saturday Allen spend the day fly fishing while I went to Wairakei Terraces. Maori and travelers have been coming here for centuries to ‘take to the waters.’ The waters and clays are highly valued for their healing powers and therapeutic benefits. 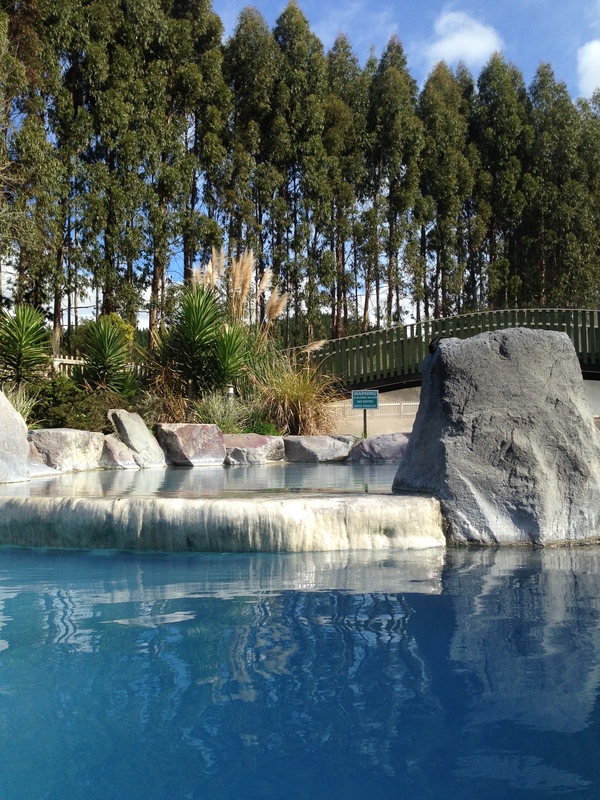 Visitors can bathe in a series of thermal pools. They are arranged in a staggered set up with the hottest pool at the top and small waterfalls flowing into the next pool. Within each pool the warmest area will be where the water from the pool above streams in. 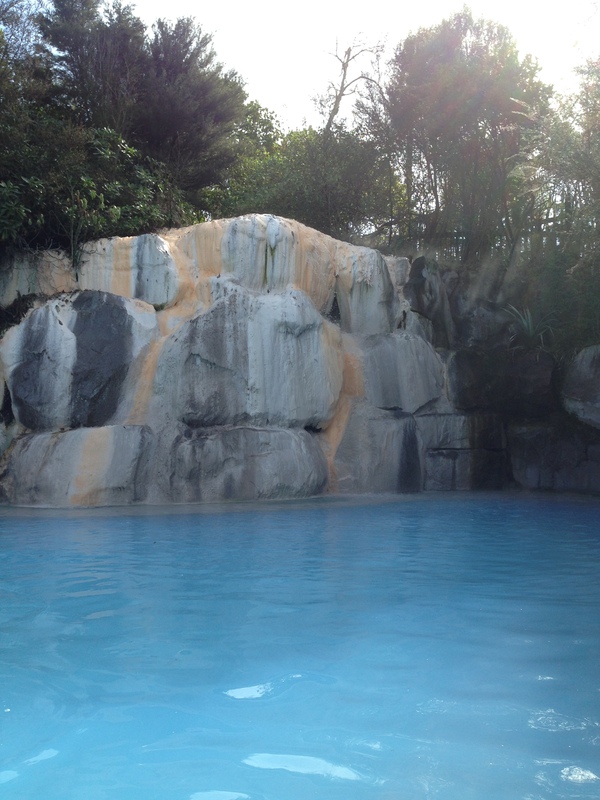 I spent an hour soaking in the pools before my therapeutic massage and would have been happy to spend another hour. The spa restricts the terraces to individuals over 13 years of age so although it was school holidays the spa was quiet. The treatment waiting areas were small and comfortable. Spa therapist Sandy nearly put me to sleep during my massage. It was heavenly!